But then we are accepting that freedom is again determined on past experience and that any free thinking is caused by agents outside of the thinker. Spinoza argues that nothing at all could be different than how things actually are. He even applies this idea to God or nature which he concluded are the same. The one true existing free entity for Spinoza is God. But we have to be careful when we interpret exactly what Spinoza means by the term ‘free.’ For Spinoza, free in this context is to be free from being determined by outside agents. God or nature is not caused or determined by other things; rather God is self caused. God is not limited by outside agents; God is limited only by His own nature. This is the most important difference between the pantheist God and the Theist God. The Theist God is assumed to have some kind of supernatural magic power which enables a magician like capability. The pantheist God has no such power. The pantheist God is restricted in His power by His own nature. He is not restricted by anything else, just Himself. The pantheist God is how He is because that is how He must be, determined by His own nature and by nothing else. But a God who is determined by His own nature is a God with no will and no desire. God is how He is because it is in His nature to exist in that way. As Spinoza points out this is manifested in the way the universe is and how everything in the universe must be. Things are as they are because they could not exist in any other way. If we consider Spinoza’s position we see that his claim is that there is one thing that exists. That one thing is God. Everything else is a part of, or an attribute of God. The universe and all things in it are God, or nature. Now atheists always state at this point in the discussion, why bother calling the universe God? Why not just call the universe the universe? The fundamental reason for Spinoza is that if things could be no other way, then the universe has to exist in the way that it does. If the universe could not exist in any other way and is here as a result of self creation followed by a causal chain of events, then our existence is intimately wrapped up in the first cause itself. The universe at its core or essence necessarily contains thinking things (us) and has to contain thinking things because that is how the universe is. Spinoza was so convinced that this was the true nature of the universe that he argued any resistance to the idea was based on a refusal to think clearly or an unwillingness to attend to the necessary definitions. For me, the idea of God and the universe being the same is a strong and valid metaphor. Any enquiry into understanding the world in which we live will require using ideas with which we are familiar in order to explain more complex ideas. Using the metaphor of God helps to emphasise the necessary nature of our existence and the intimate conjunction with the universe that we have. These ideas are some of the oldest explanations of existence that there are and predate theism by many centuries. The concepts and definitions which can be applied to the pantheist God are the same as those used with the theist God, but are coherent and consistent. For example, to claim that God is omnipotent is to state that all power (think all energy) belongs to God. All things that exist are attributes of God. There is no thing outside of God. Similarly omnipresence; God is everywhere because all things are attributes of God. The concepts that theists wish to apply to their God but cannot, because they fall into contradiction, can be quite readily applied to the pantheist metaphor without contradiction. But of course the theist God evolved as a political tool. An all seeing, all knowing, eager to punish God of Big Brother Theism has been utilised for political control rather than as a means to knowledge and understanding. In understanding Spinoza we note that the pantheist God has existed only as a conclusion of rational enquiry. I agree that the Universe (God) is the only thing that is completely self-defining; since there is nothing outside of it, there is nothing relative to which it could be defined. This means that the Universe is the prototype for all holism, because it is completely defined by its own internal diversity (differentiation), and the cooperative relationships between it diverse parts. However, that does not mean that finite things are completely determined by what is outside of them. Finite things are partly defined by such external relationships, but they are also defined by their own (imperfect and transient) internal integrity (cooperation and diversity). Such integrity reflects (imperfectly) the holism of the Infinite, and so is an example of immanence. This means that the holistic quality of the Infinite is replicated holographically (as integrity) within each finite thing; such integrity is in fact identical to finite being. 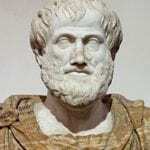 The question of free will is therefore answered in the affirmative, with the qualification that this is not some arbitrary, personal free will, but rather it is the free will of Existence (the Infinite) expressing itself uniquely as us at a particular place and time. To be a unique expression of that universal creativity does not compromise one’s individuality, or turn one into a determined thing; rather, it is precisely what one’s individuality is. Finite things, such as we are, are essential, as a class, to universal Being. If the Universe were completely undifferentiated, then there would be utter Nothingness everywhere – a universal void. It is fine to say that the Universe is the only thing that has no external thing relative to which it can be defined, but let’s not forget that the difference between Being and Nothingness is the internal diversity of the Universe, and that requires the existence of finite things. Individually, any finite thing is infinitesimal as compared to the Infinite, and thus can have no effect upon it. But as a class, finite things are the difference between Being and non-Being at the level of the Infinite. As in the calculus, where the analytical summing of an infinite number of infinitesimal rectangles computes the area under a curve, even though the removal of any finite number of rectangles would have no effect upon the result, an infinite number of finite things creates all Being, even though the removal of any finite number of such things would have no effect upon the Infinite. This relationship of finite things to the Infinite has important ethical implications for finite things that are moral agents, such as persons and social institutions. The relationship of finite things to the Infinite (the Universe) is the essential focus of spiritual inquiry. People may think that spiritual inquiry is primarily about the nature of the Infinite itself, but for finite beings such as we are, such an inquiry is meaningless without relating the Infinite to ourselves. The problem with atheists is that they miss the essential ethical and existential implications of that relationship in their fixation upon bursting the bubbles of theists. In doing so, they throw out the spiritual baby with the theist bubble bathwater. The problem with many religious folks is that they are burdened with dogma that in general exists to legitimize the role of organized religious hierarchy in society. As you have pointed out, theism is an essential aspect of this. The model of a God outside the universe represents a denial of holism. This is precisely what exploitative control systems do when they alienate wealth from an underlying organic social process, and then claim primary credit for having created that value.